A new Kickstarter project is looking to resurrect classic arcade gaming in a more portable form via the power of the Raspberry Pi chipset. Starforce Pi is a tabletop gaming machine which offers a full-sized Sanwa-supplied microswitched joystick and buttons, powerful stereo sound, authentic video playback and support for original software, all contained within a durable casing which will remind veteran players of the compact LED-based games of the '80s. The system will support retro emulation and original games - the latter being delivered on SD cards - and can even output a signal to your HD TV. USB ports will allow you to connect peripherals such as joypads, mice and keyboards. The unit is powered by a 3000mAh battery which is said to provide over 5 hours of play from a single charge. The modular design means that upgrading is easy, and two versions will be made available, with the more expensive version containing a faster CPU and more RAM. The basic model is set to retail for 199 Euros / £140 / $220. Pricing for the more powerful unit is still to be determined. Production is dependant on a successful Kickstarter campaign, which commences on November 15th. Interested? Let us know by posting a comment. In the meantime, you can also check out some videos for the project below. That's really expensive when I can just hook up an arcade stick to my tablet. Pretty cool, but I already have a Picade from the UKs first ever KickStarter project. Not a bad idea otherwise. No, thank you. I am just fine with RetroPie and making my own stuff. Neat idea, but price point is unfortunately too high. If they could price it at $100-$150, people would buy it in droves (especially at $100); at $220 for the basic model, they're only going to get a niche market of buyers (assuming it gets funded in the first place). Defo up for this got that classic arcade feel about it, plugging into the TV is good also but the price is a little too high for what it is. Interesting but the basic uses a Raspberry Pi 1? why bother? a Pi 2 is only $10 more. It doesn't resemble an arcade cabinet to me... goofy looking, like something from an old sci-fi movie. Looks like my old Firefox F1 ... anyone remember that? 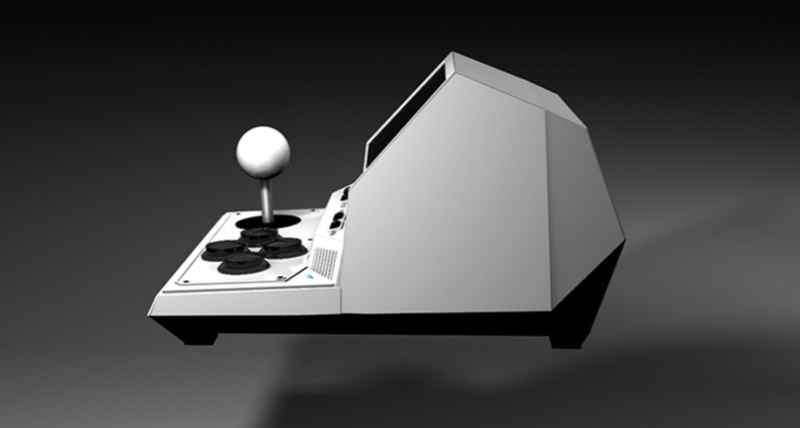 Looks absolutely cool, especially like the joystick, but I'd still much rather have a MAME cabinet setup instead. For the price of four of these you can get a standing 4-player cabinet with countless games to play with your friends anyway. Granted you probably have to put it together yourself, but still better than fiddling with a tiny arcade box.